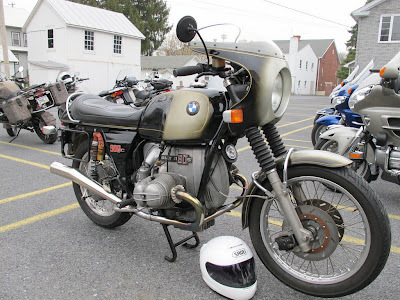 Last Sunday, grey skies kept all but maybe 20 motorcyclists from the monthly breakfast ride-in at Haag's Hotel in Shartlesville, PA. 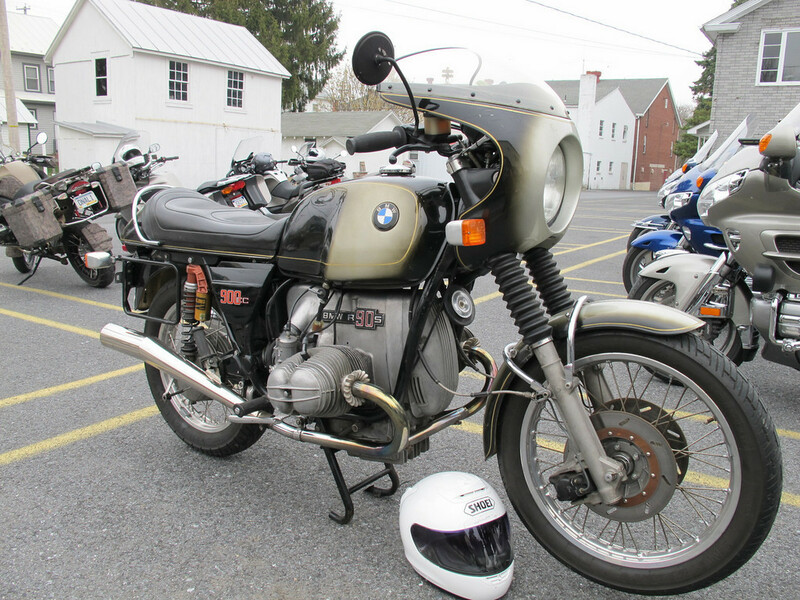 The parking lot was heavy with BMWs, including the awesome 1974 R90S pictured below, which had been ridden out from Bucks County. I'm not a BMW expert, but even I could spot the addition of Ohlins shocks and dual-plug heads. What wasn't apparent until the owner pointed it out was the serial number: -0001! 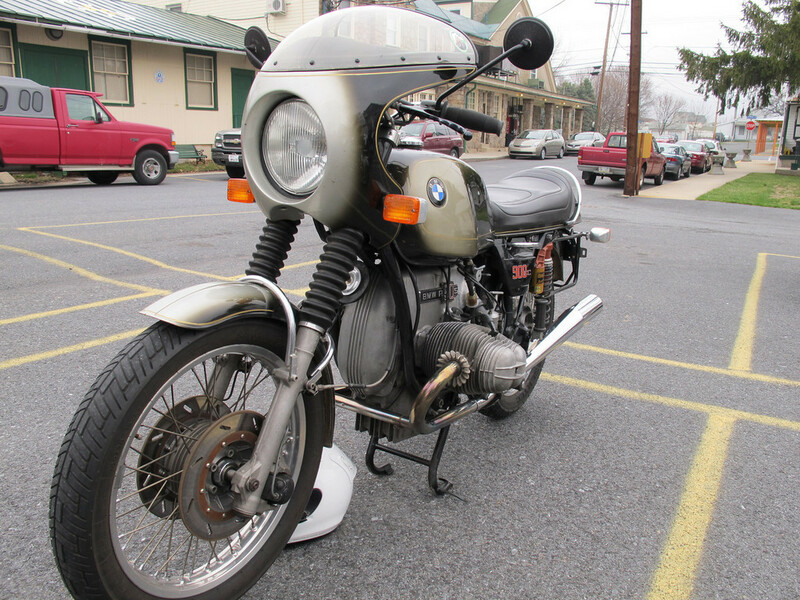 That's right, the first R90S imported to the US in '74. I'm happy to report this isn't a museum piece: it has 30K+ miles on the odo, and judging from the safety wire, it may have seen some track-use. If the owner sees this and would care to comment with further information, please do. 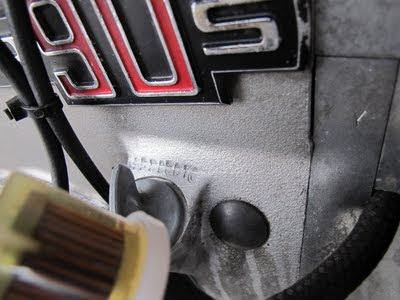 I believe the color is "TT Silver"
Well-kept but obviously ridden, as it should be!